Internet search engine Yahoo says it is "not opposed" to Microsoft's takeover bid, but wants a better price. The letter from Yahoo's board was a swift response to a deadline issued at the weekend by Microsoft CEO Steve Ballmer for Yahoo to agree to the deal. Microsoft warned if the deal was not accepted by 26 April, it would mount a hostile takeover at a lower price. The software giant made an unsolicited $44.6bn (£22.3bn) takeover offer for Yahoo on 31 January. But Yahoo rejected the deal, saying it substantially underrated the company's value and prospects. "We have continued to make clear that we are not opposed to a transaction with Microsoft if it is in the best interests of our stockholders," the letter said. "Our position is simply that any transaction must be at a value that fully reflects the value of Yahoo, including any strategic benefits to Microsoft, and on terms that provide certainty to our stockholders." In the letter, Yahoo said the threat to begin a hostile takeover was "counter-productive". 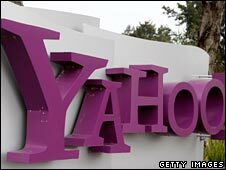 Yahoo has been seeking links with other media and internet firms that would help it retain its independence. However, most companies with the financial clout to rescue Yahoo from Microsoft's advances would face scrutiny from competition authorities around the world, should they make a move on the internet veteran.